Two of the UK's most revered electronic producers spent the weekend embroiled in a Twitter battle. 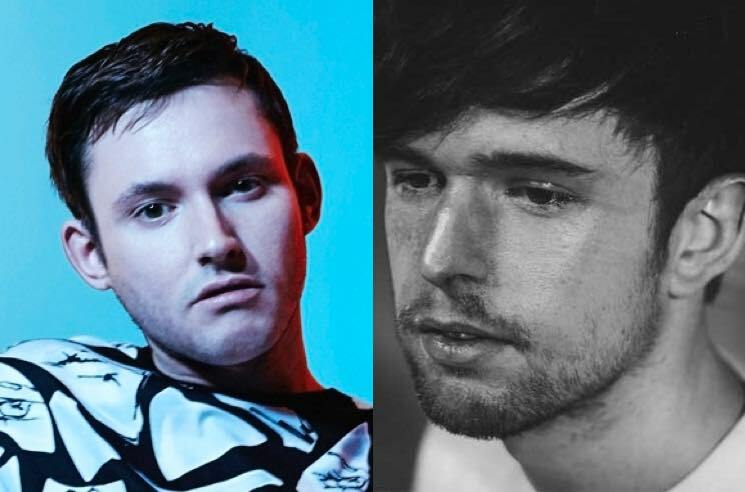 It began a bit of a misunderstanding, but ended with James Blake declaring that he would never trust Hudson Mohawke to handle any of his music. The drama started last week, when Mohawke revealed on Twitter that he had worked on demos with Frank Ocean and James Blake, but wouldn't be getting himself into trouble by leaking any of the material in question. Blake responded rather confusedly, taking the suggestion of collaboration as a compliment, but assuring the Twitterverse that the pair had never worked on music together. As talented as I think he is, I've never worked with Hudson Mohawke and don't know what he's talking about. I'm respectfully baffled. Then yesterday (August 14), Mohawke tried to clarify the misunderstanding, explaining that his work with Blake and Ocean never really amounted to anything. As rumours about the collaboration began circulating online, Mohawke sent out a screenshot of an email exchange from 2014 between the pair of producers, thinking he was proving his point. In it, Blake apologetically tells Mohawke that he "tried a few things" with beats Mohawke had sent him, but "didn't get very far." can't believe i have to prove this. Seems so petty. nothing against james - but who do these mags think i am?! Blake responded with a note, explaining that he has "listened to them and politely declined," rendering his insinuation that he had anything to leak rather ridiculous. "Leak what you have," the note continued. "You'd just be leaking one of your own beats with no vocals or input from me." The final blow arrived when a rather heated Blake declared, "Thank god we've never worked together because I wouldn't be able to trust you with my music" — then implied that if Mohawke continued to threaten to leak tracks, soon no one else will want to work with him either. Mohawke took the harsh note in stride, reaching out and asking to patch things up with Blake privately (outside of 140-character limits) once he's home. Blake has yet to respond. He was at the Eaux Claires Festival in Wisconsin this weekend, where Justin Vernon debuted his new Bon Iver album 22, A Million.